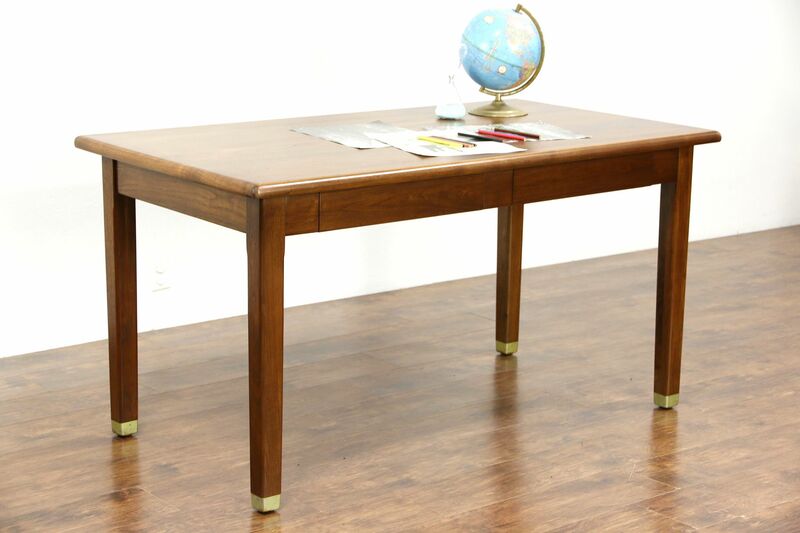 A walnut library table or writing desk from the 1940's is walnut with an excellent restored finish. Two drawers have solid oak sides with dovetailed joints. Brass feet are original on this American made vintage library or office furniture. Measurements are 58" long, 32" deep, 30 1/2" tall and legroom is 25" underneath.